Today we are going to talk about truly unique products that we fell in love with. 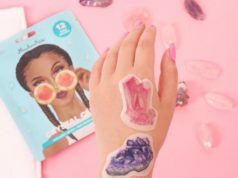 Honestly, we did not believe we could get this much excitement from beauty products since we work with tons of them every day, but this is something out of this world. The awesome products come from SABON a brand that has started its existence in 1997 in Tel-Aviv and keeping its customers happy around the world for over twenty years already. The SABON is inspired by nature, which you can tell by taking any product in your hand – each has its own unique smell. Each product is a mixture of different fruits, herbs, oils, and flowers, the aromatherapy from the products relaxes and frees your mind. In addition to great ingredients, we especially want to note a stylish retro/vintage design of the packaging which makes your bath look like a room in the museum and makes your eyes happy. The expert said that she didn’t want to open products at first, they look so good she wanted them to stay forever. Products are available in glass in plastic jars and bottles which are fully recyclable, SABON takes great care of nature through supporting local communities. Everything is awesome about SABON, we wanted to try literally everything they offer, here’s our test and review of the Ginger Orange Shower Oil, Citrus Blossom Body Scrub, 3 in 1 Facial Mud Mask, and Rich Moisturizing Mask. While testing the Ginger Orange Shower Oil our expert reported that the glass bottle is so stylish that she might keep it for a later use after the product is finished. 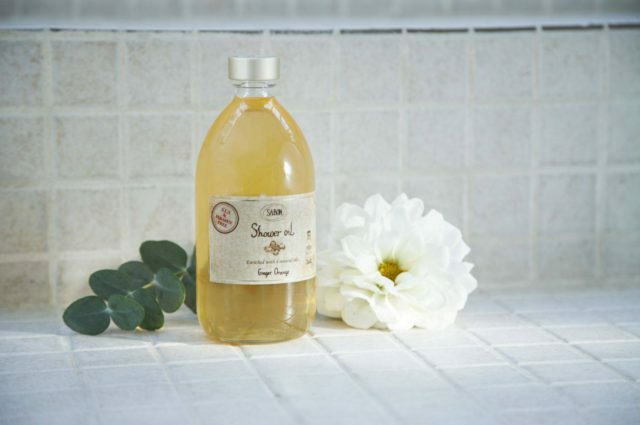 The shower oil contains oils of an Avocado, Jojoba, Olive, and Wheat Germ and is SLS and paraben free. The product is yellow honey-like color and liquid like a gel. It has a beautiful, light citrus scent, which is not taking you away, but gently refreshes – our whole team fell in love with this scent! This is a deeply moisturizing body oil that is rich in antioxidants and maintains natural pH of the skin. Just couple pumps would be enough to cover a whole body and the bottle will last long. The soap is easy to wash off and it does not leave an oily film. 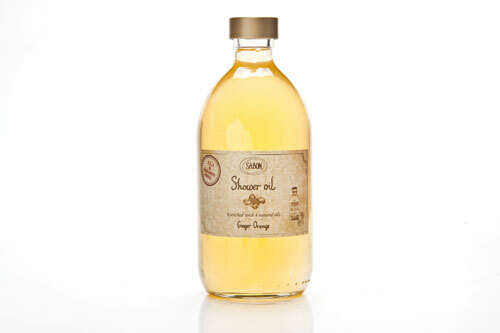 After using shower oil skin becomes smooth and hydrating and smells like it has a perfume on it. 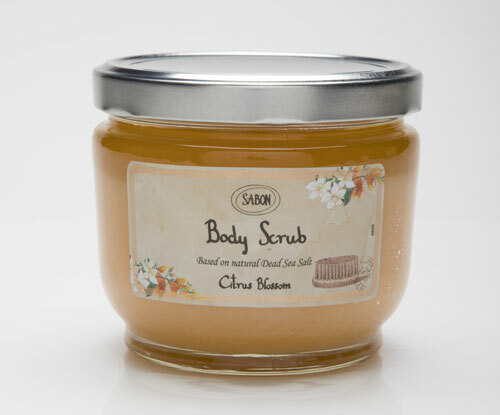 The Body Scrub Citrus Blossom is another great product from SABON. The scrub comes in a variety of fragrances, however, to accompany Orange Shower Gel we went ahead with a Citrus Blossom scent. This is a gel-based scrub with a non-greasy formula and fits all skin types, its made with the Dead Sea salt so the salt exfoliates you while the oil moisturizes you at the same time. Same as shower oil, right as you open the glass jar you feel gentle citrusy fragrance. To use open the jar and using the wooden scoop that comes with the product mix the oils with the Dead Sea Salt, put one scoop into your hand and gently massage into the body with circular motions. You can use this body scrub twice a week or more. One of our experts suffered from stretch marks and cellulite, after one week of using this scrub, she noticed both of this flaws became less visible! 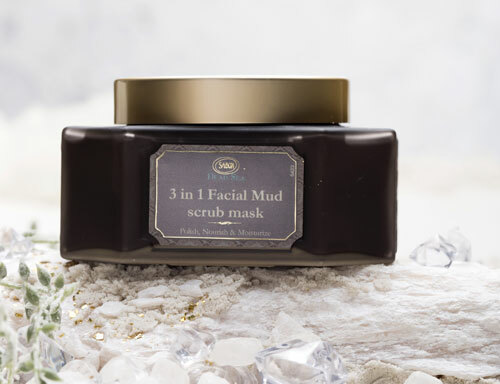 The 3 in 1 Facial Mud Mask is a mask made with a Dead Sea Mud and provides exfoliation, conditioning, and moisturizing all in one go. The mask comes in a stylish flat octagon glass jar with a special brush. 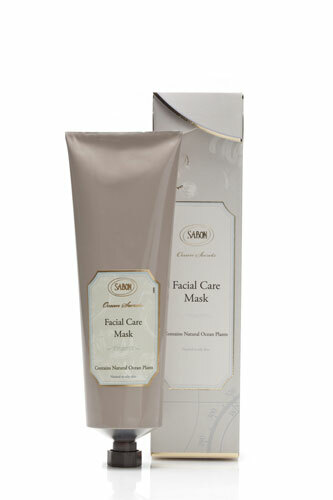 The mask contains natural exfoliating beads, which leave the skin soft and glowing. To use the mask open the jar and dip the brush that comes with the product in the mud. Apply a thin level of mud evenly on cleansed skin, to use as an exfoliant, massage with your fingertips for additional 1-2 minutes and to use as a mask leave on for 15-20 minutes. Rinse off mask with a damp cloth or lukewarm water. The expert reported that mask gives a warm feeling when applying, the same as mud that you pick from the dead sea beaches, after using mask skin feels so soft and healthy! Ocean Secrets Rich Moisturizing Mask is a truly amazing mask. Comes in a tube packaging which makes it easy to take anywhere with you. Mask is a white color, it infuses skin with natural moisture and contains seaweed extract, Almond and Olive oil for an added hydration boost. The expert reported same warm feeling when applying the mask. It penetrates deeply into the skin and provides a great hydration which is so important these hot summer days. We are extremely happy with SABON products, this is truly amazing, the luxury brand that cares about what they do and how they do it. Looking forward to providing you with reviews of other SABON products.